If your business is service-oriented, focus on showcasing the process behind providing the service. Show your company culture, share your mission with the world, or simply share some tips and how-tos. It’s possible to upload photos, short videos (similar to GIFs, called Boomerangs) and videos up to one minute in length. Makes it easy to experiment with different content types: photo, short video, Boomerang (GIF-like image), video filmed backwards (Rewind) and live video. All photos and videos you add will play in the sequence they were added and you can add as many as you like. 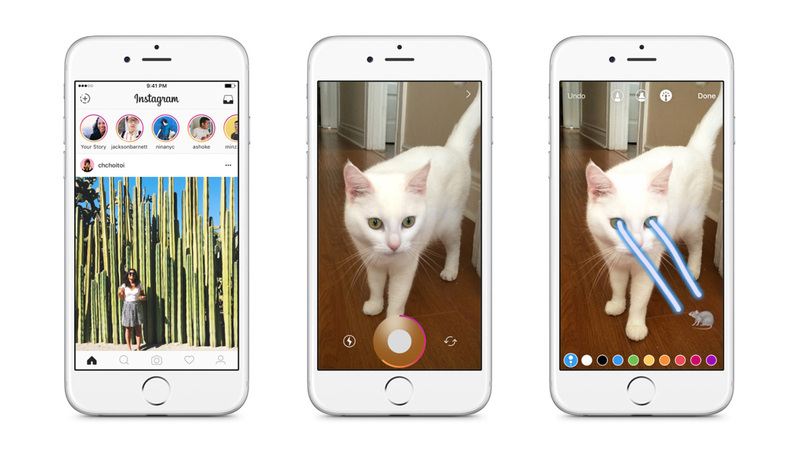 Note that this feature is currently only available on the mobile app and it’s possible to send Instagram Stories as a direct message, but this feature isn’t as useful for marketers unless you’re planning to send tailored short videos to prospects. Great example of an Instagram Bio by Content Marketing Institute. 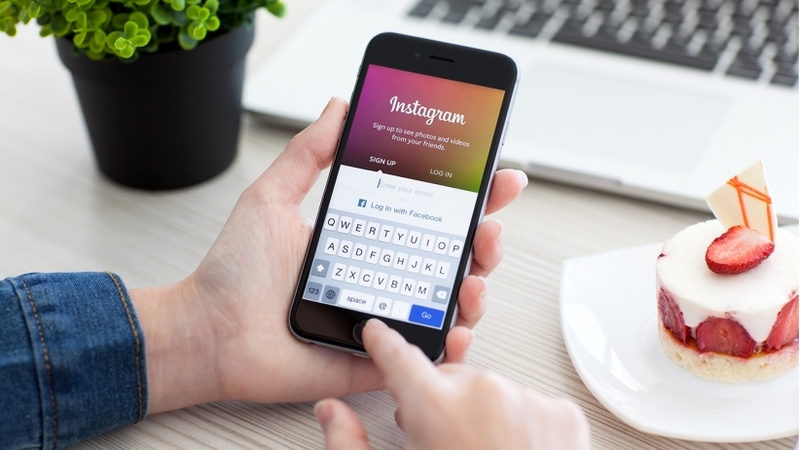 Instagram has also launched their Instagram Business profiles and paid advertising. The Business profile adds a phone number to your bio and gives access to extensive analytics data that wouldn’t be otherwise available unless you’re using a social media tool. Read our blog on how to set up an Instagram account for business where we walk through you the step-by-step instructions and key elements you need to consider when managing Instagram for other businesses. Customers have a natural curiosity about where their products come from, and you can use Instagram to show them their whole lifecycle. This is especially relevant for companies that sell environmentally friendly or Fair Trade products. Source images to demonstrate how products are made – from the base material, production and distribution. If nothing comes to mind, you can share something that everyone has – sketches, notes and filled whiteboards or blackboards. Every business has brainstormed ideas, it’s up to you to take a pretty picture and upload it to Instagram. You may find that it’s best to try out different post types until you strike gold with the one that will engage the audience. Thanks to yet another new feature, Instagram now lets you archive posts instead of deleting them. It’s best practice to use between three to five hashtags, despite the fact that the maximum you can add is 30 per Instagram post. Use your own, campaign specific hashtags as well as the more popular hashtags to increase the discoverability of your content. For example, try adding hashtags like #instagood (used is 300 million posts), or #tbt (Throwback Thursday), and don’t forget about industry specific ones. If you are in IT, the hashtag #IT or #tech will do just fine. Also, consider how you add hashtags, these can be added at the end of the post, in a comment or worked into the actual post, like GoPro does. Instagram is one of the strongest social media channels for highlighting collaborators and sharing customer success stories. Even if you don’t officially partner with a non-profit organization, you can give to charity or do a fundraiser a couple of times a year. It’s all good as long as the cause aligns with your brand values and mission. Take into account that not everyone is monitoring hashtags on social media, so tagging an account is usually a better choice if you want to get noticed. Layered with old car magazines, vintage advertising and custom screen prints, each of @duffyleg’s creations carries a history that is uniquely American. He loves the process as much as he does the final piece. Using his #Surface to design, plan and process his work—he’s telling America’s car culture history in larger-than-life hot rod form. See more of Duffy’s work by clicking the link in our bio. Another technique involves the use of ‘shout-outs’. An unpaid shout-out is when you partner with another brand that has roughly the same number of followers as you to promote each other to your audiences and you both benefit from increased exposure. The paid shout-out is for those with a bigger budget as it’s essentially an influencer campaign. This usually involves paying a brand (or influencer) with a much larger following to promote your product or service. It’s a great way to gain a large number of new followers quickly, providing that you create a strong call to action and the influencer’s audience is genuine. Keeping your customers interested is an essential part of any effective marketing campaign. Reward your loyal followers with exclusive content. Let them be the first to know about new products, services or events. Create teaser photos that build anticipation or satisfy curiosity for your new releases, office openings or stores. This kind of preview makes your Instagram followers feel special and keeps them coming back for more insider information. Without taking a step back and analyzing what worked and didn’t, marketing becomes a guessing game. The truth is, you can read all the articles in the world about the best practices and publishing times, but you will only find out what works for your clients through testing and measuring results. Social media management tools can help, though. You can use them not only to schedule your Instagram campaigns in advance but also use social media analytics to measure their success. Make sure to regularly measure your follower count, engagement and clicks, all to refine and improve your strategy. 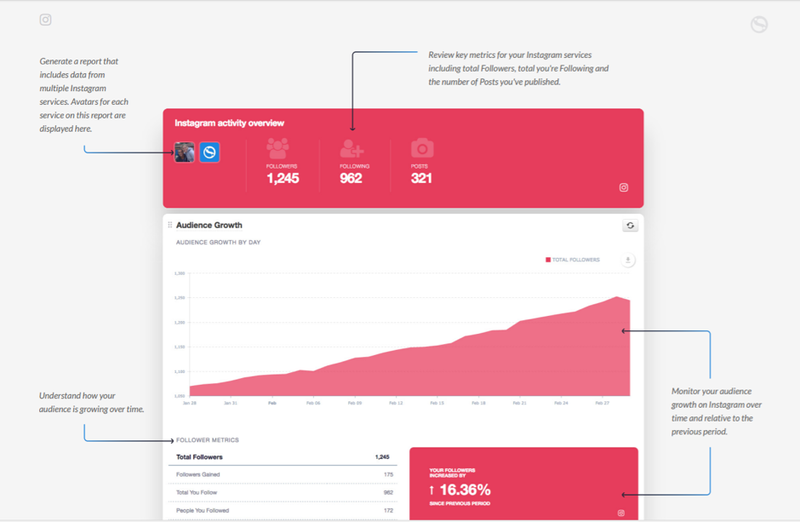 Our new social media reports can help you track your performance for Instagram and all other key social media networks. We hope that these tips will improve your channel’s performance and attract new customers. Please tell us which of these tips were most useful to you, and also let us know about other tactics that have worked for you.